Since 1996, MusicalMe, Inc. has been offering the renowned Music Together®® Early Childhood Music Enrichment Program for children newborn through age 6. Over 40,000 students have been served through MMI in Monterey, Santa Cruz and Santa Clara Counties in California. As the original parent-child music program, Music Together has enriched the lives of families around the world for over twenty-five years. Since its founding in 1987, Music Together has communicated its basic philosophy – that all children are musical – through developmentally appropriate, research-based classes for children ages birth through kindergarten and their parents and caregivers. Hundreds of thousands of families have come to love Music Together classes....and music! 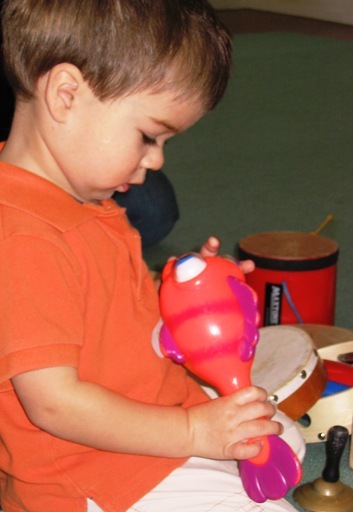 Music Together classes nurture the inherent music lover in us all through play. Experience first-hand just how fun learning and playing musically with your child can be. We’ll teach you how to take music out of the box and put it into the hearts and hands of your young children, and you! Participate in a FREE demo / preview class with your young ones and discover why everyone you know loves Music Together.